Not much time at each attraction ! 4 attractions in 1 very full day ! 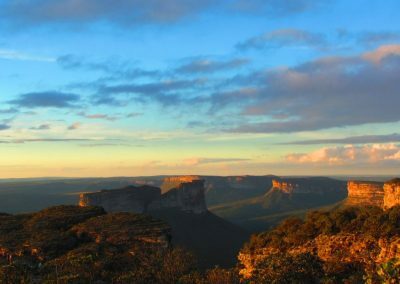 This is a very classic but ideal tour to discover the Chapada Diamantina because you visit a variety of attractions of the region. 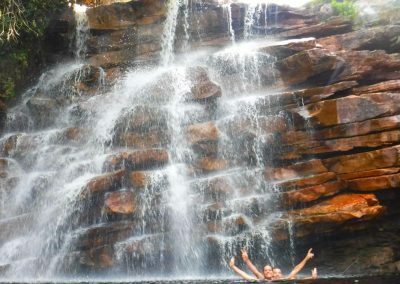 Caves, crystalline waters, waterfalls and an incredible view from the top of Pai Inácio Hill. Timing is important for this tour, we have quite a tight schedule. You see a lot of attractions but because of distances be aware that you cannot stay a long time at the attractions. 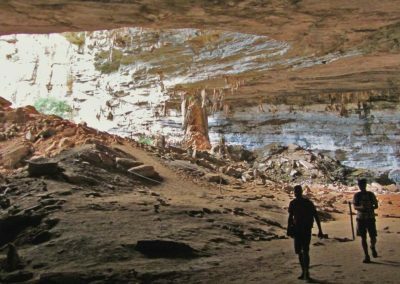 If you want to take more time at the attractions, look at another tour with Pratinha or Lapa doce cave. Timing is important for this tour, we have quite a tight schedule. This tour is mostly by car, with short hikes to four places. 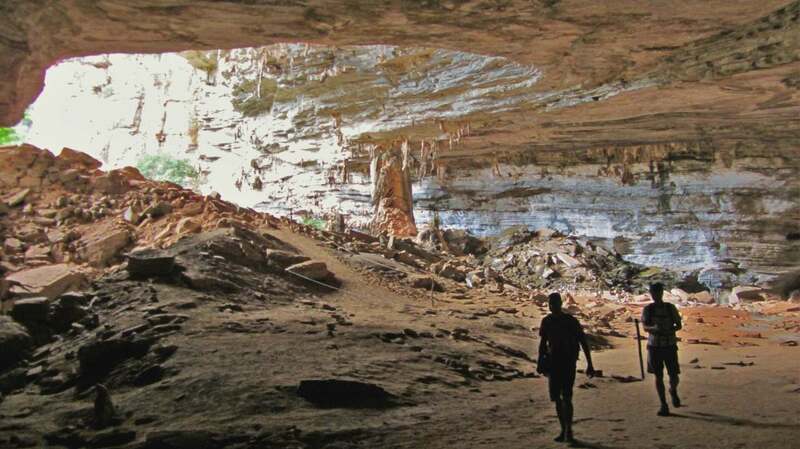 In the morning, we’ll drive for 50 minutes to Iraquara, the cave capital of Brazil with more than 300 limestone caves. 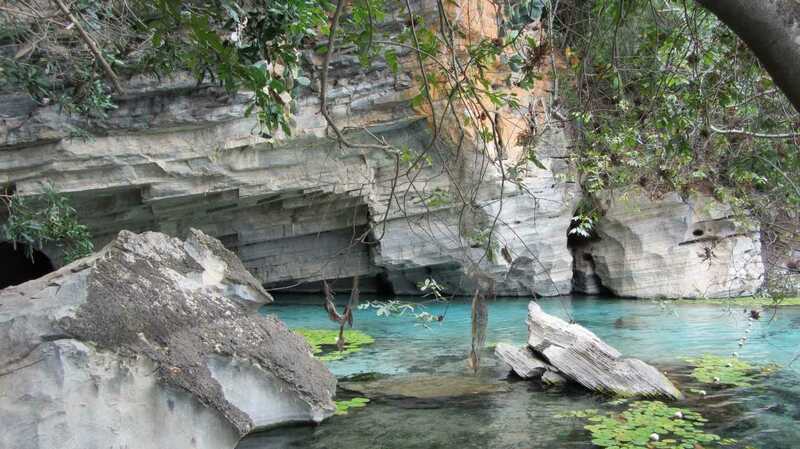 Firstly, we’ll visit Pratinha, that has a lake with crystal clear water and it has optional activities like zip line or snorkeling inside Pratinha Cave. Second stop is Lapa Doce Cave, a very wide and enormous cave with stalactites and stalagmites. We’ll cross 850m in the cave for approximately one hour. After the cave visit we will have buffet lunch of delicious regional food. 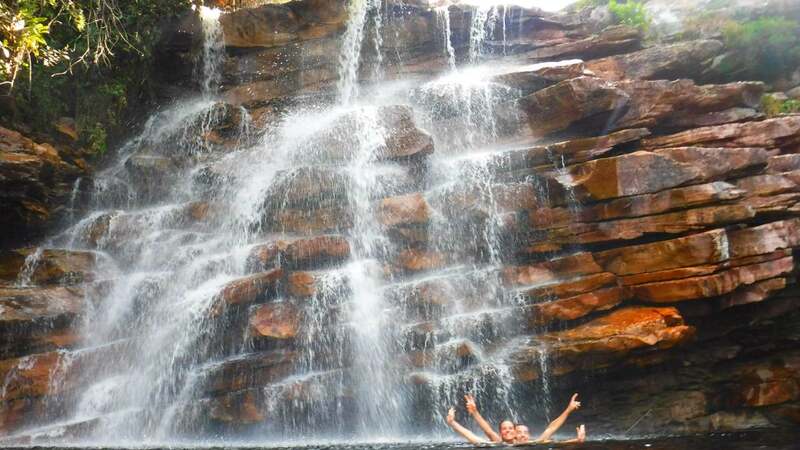 After the lunch we drive for 35 minutes to reach the river Mucugezinho, that forms a variety of pools good for bathing. 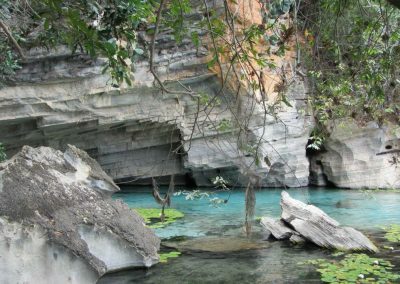 After a 20 minute walk downstream, the impressive Devil’s Pool waterfall offers great swim. In july and August you can do zip lining here. 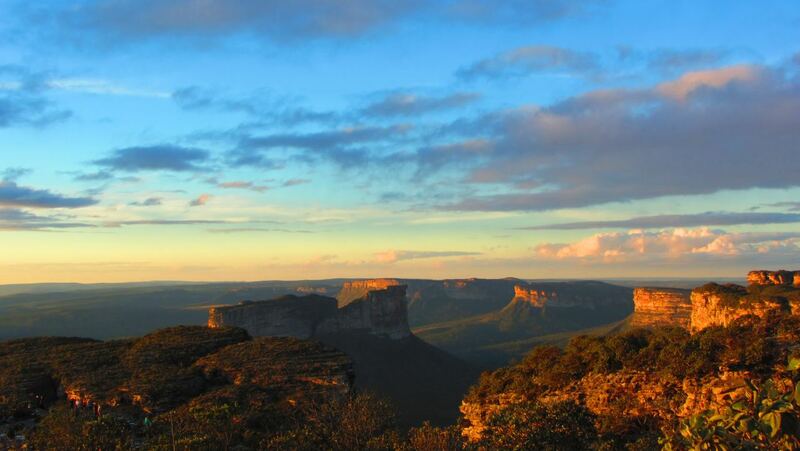 After a swim, we’ll go for our last stop: Pai Inácio Hill, a table mountain that is the symbol and postcard of the Chapada Diamantina. At 1200m above sea level, the top of the mountain offers one of the most spectacular and photographed views of the region. After a 20 minutes steep climb, we enjoy a 360 degrees view and wait for the sunset. After we descend, we go back to Lençóis after a very full day.